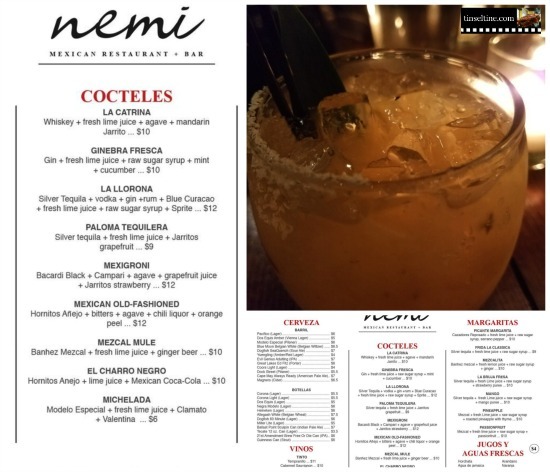 Got a chance to check out NEMI a new Mexican (Latin American Fusion) restaurant and bar in Port Richmond, Philadelphia (right off Girard Exit from 95). 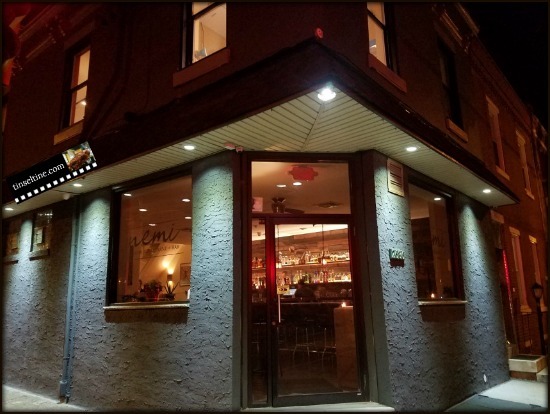 This upscale neighborhood spot opened the weekend between Christmas and New Years. In Spanish, “Nemi” is an expression that stands for life, adventure, and the courage to live all-out and seize the day. 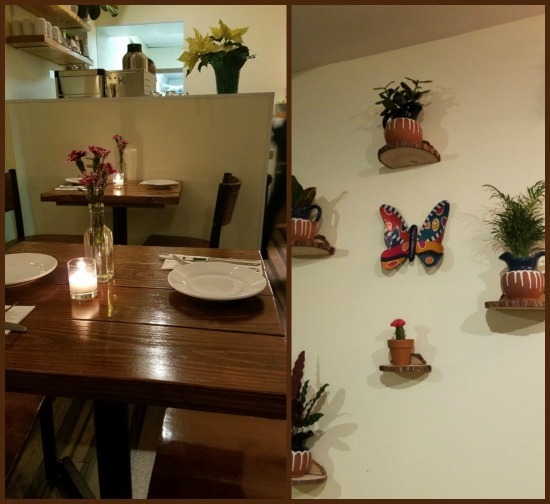 That's a lot for a restaurant to live up to, but I have to say, my first visit did fill me with a desire to return and explore more super chulo culinary delights. 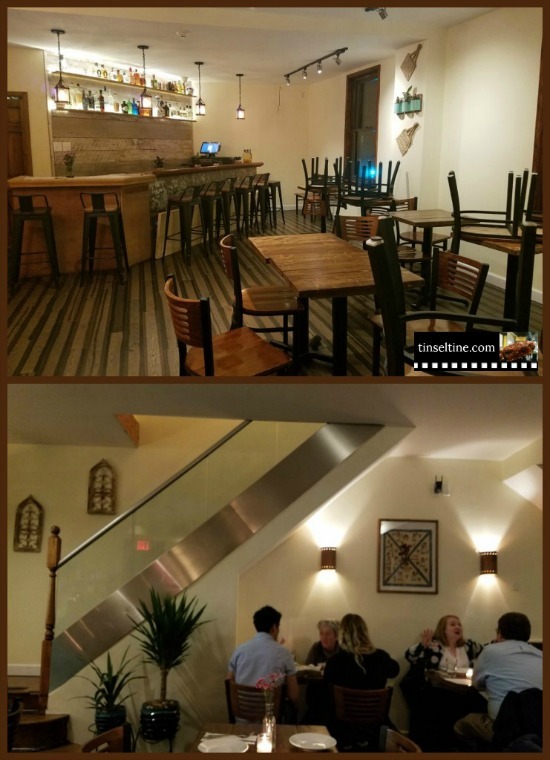 Best to go now, because as soon as this places catches on it's not going to be easy to get a table in the intimate downstairs bar/dining area. I went with the SOPA DE FRIJOLES, it was savory and done to perfection for what they were going for, but I prefer a more traditional thick black bean soup with cheese on the top. 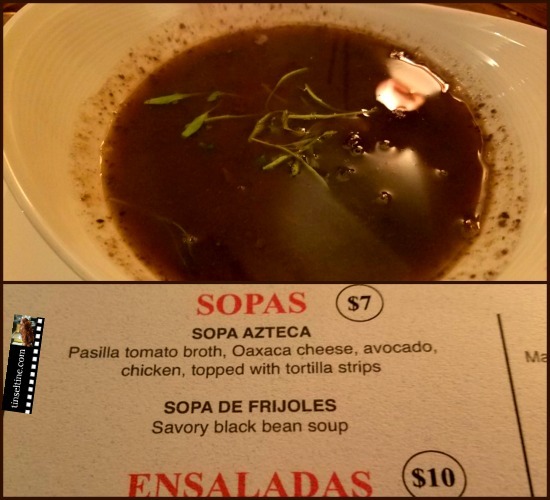 I know that's pedestrian thinking, but... Next time I'd try the SOPA AZTECA, which I was told is a heartier soup. 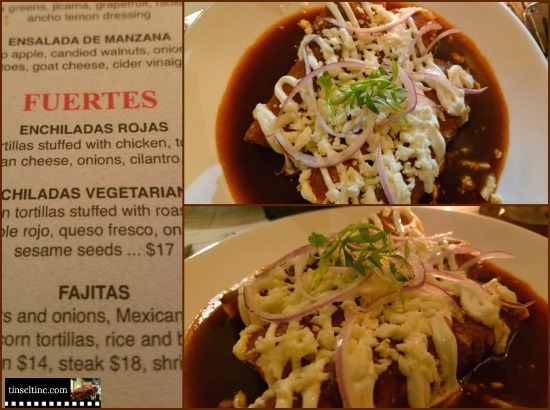 For my main course I went with the ENCHILADAS ROJAS nice blend of spices, very filling, the slightly smoky flavored red sauce made them above the usual. Marilyn Johnson who runs the best, long-running Philly Foodie site Philly Grub and I went together along with her husband David. 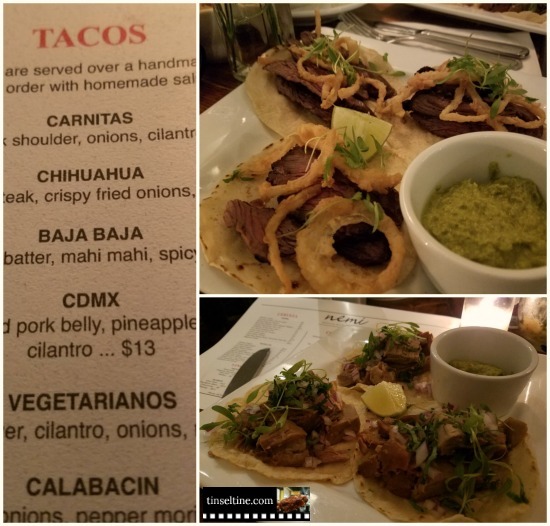 They both went with the Tacos. The Pork Belly cooking takes 2 days to prepare for these tacos - Nemi has a unique process, first curing the pork belly for 48 hours, marinating it in sauce, and then cooking it in the oven for another 4-5 hours. 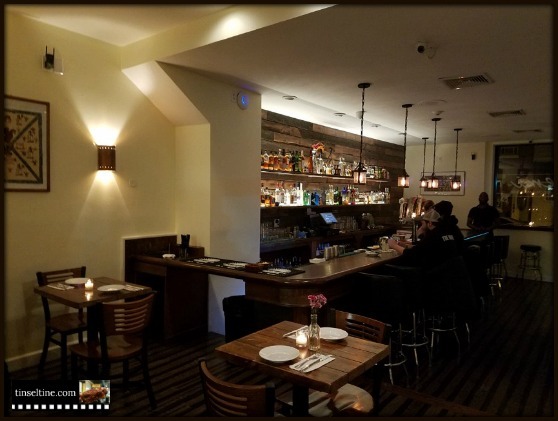 NEMI's upstairs area for the time being, is reserved for private events. Alejandro Fuentes (rt) & Jesus Garcia (not pictured) both formerly of Lucha Cartel. 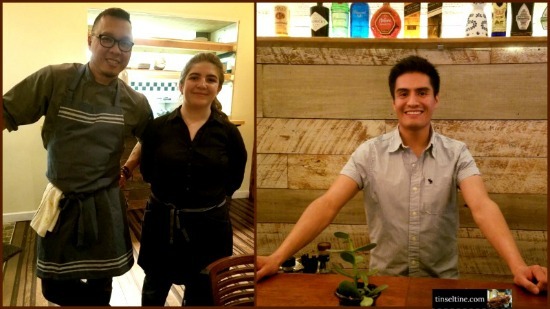 Also pictured our excellent server Maty, so knowledgeable, at first I thought she was one of the owners. 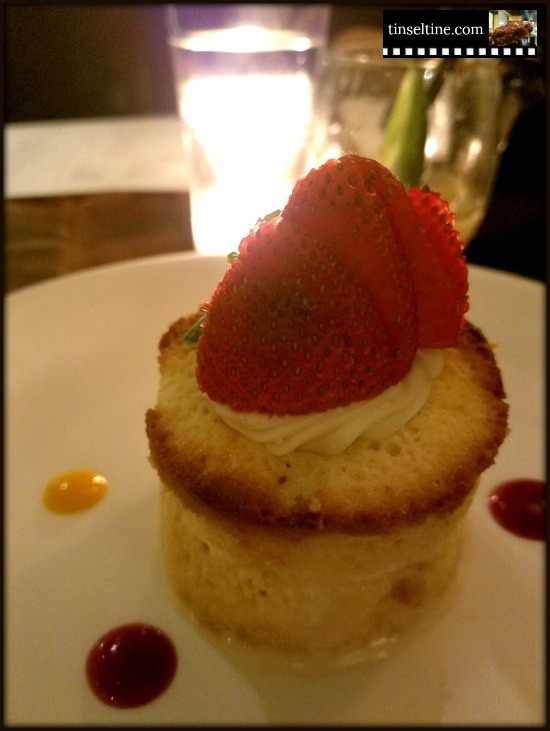 Finally, for dessert I went with the Tres Leches (Milk Cake) this is the only kind of wet cake I enjoy- have always hated Tiramisu and rum cake, but milk cake, particularly this one, is light, cold and refreshing.